Wearing just one eyeshadow at a time can be boring and it can kill your looks. However, you can blend multiple shades of eyeshadow together to give yourself a stunning look and it isn’t that difficult either. Although it is quite easy to blend multiple shades of eyeshadow, you need to make sure that the colours are not distinguishable. You can choose to add one colour to your one lid and other to the other one but make sure that there is no line between them. This is the beauty of blending eyeshadow. The most basic and most important aspect of eye makeup is the base. You can put on as much makeup as you want but unless you have a good foundation, you cannot expect your makeup to make you look prettier. Create the best possible foundation for eye makeup and make sure that it is dry. Use powder for the foundation as it sits perfectly on eyelids. You can also use cream eyeshadow if you want the makeup to stay longer but use of powdered foundation is recommended. 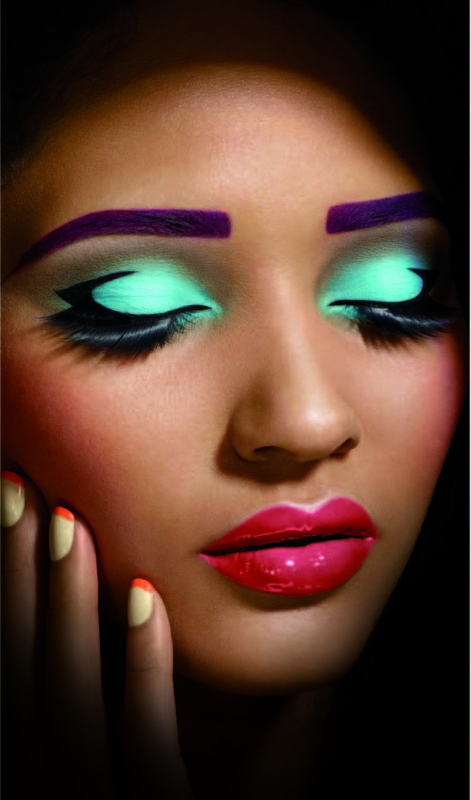 For blending, use brushes and avoid using fingers as they absorb the colours from your eyes. The direction of your blending is not important. What is important is the amount of eyeshadow you are putting on and how you are putting it on. Do not use a single brush for each colour. Use separate brush for every colour or clean your brush after using one colour if you want to use only one brush. Do not rush and take your time and build your colours slowly. Do it step by step starting with a little amount of colour. You can add more colour later on so there is no need to worry if you prefer wearing dark colours. Use a blender brush as the right tools guarantee perfect results.